Kess Crystal recently dropped me a line about MadPea’s 2015 Celebrity auction – with the news also now appearing on the MadPea blog; my apologies to Kess for my tardiness in getting this article out. 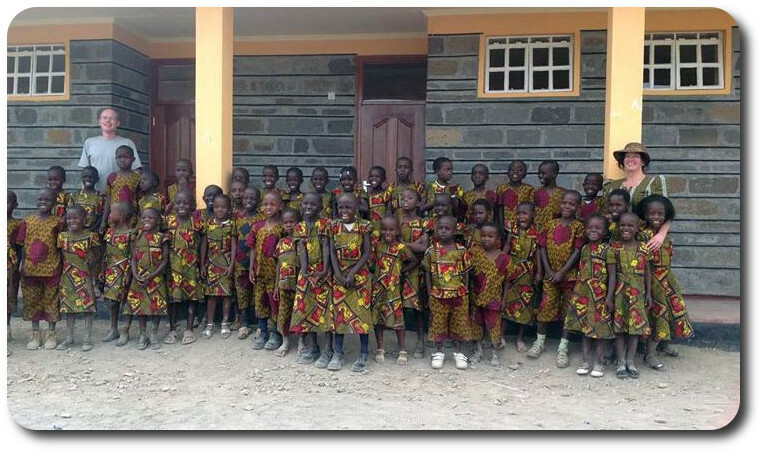 On September 27th 2015, the MadPea team will be running an auction in support of Feed A Smile / Live and Learn in Kenya – and right now they’re asking for support from folk across SL to make it happen, buy donating their time, interest and talents. The focus of the auction comes by way of Feed A Smile. You may recognise the name from things like The Drax Files World Makers episode #16. At its heart, Feed A Smile, organised and run by Brique Topaz (Brique Zeiner in the physical world) provides nutritious warm lunches for over 400 children every day, paid for entirely from donations to the project. Over a third of the money directed at the programme comes from donations received within Second Life. 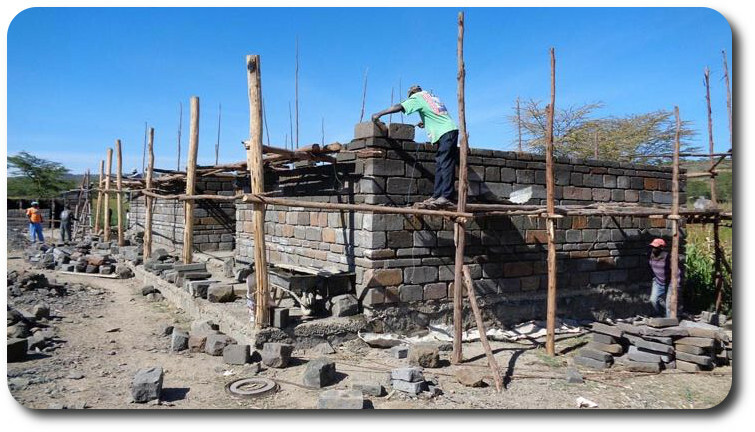 They are currently in the process of building a school in Nakuru. The first classroom and staff office were opened in January but there is a long way to go with each classroom costing around 19,000 USD to complete. More information about the programme and the credentials can be round on the Live and Learn in Kenya Website. Maybe you’re a photographer that could offer a portrait or a one-to-one tutorial of your work? A prolific blogger who could share your knowledge with another resident? A store owner or creator willing to give a demonstration or create a unique product. Maybe you’re a DJ or Live musician willing to give an hour show to a winning bidder. The options are endless and you get to choose what you give. 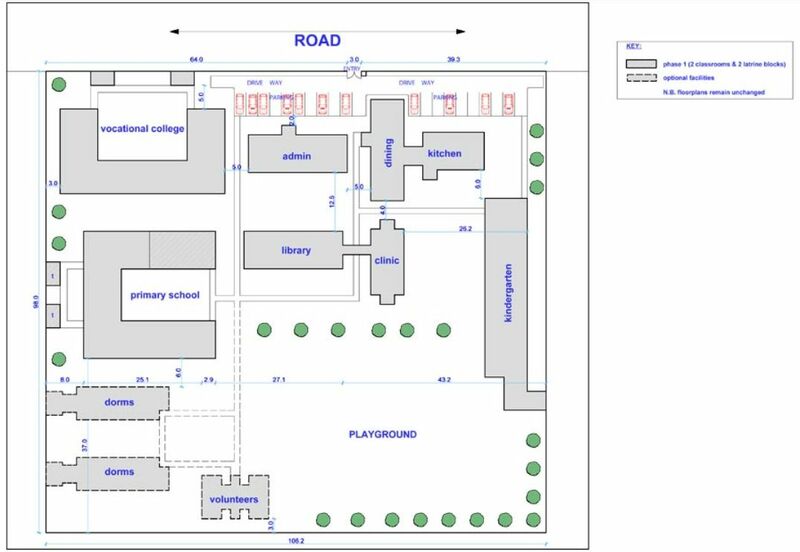 The first elements of the school opened in January 2015, and work is continuing – and there is a lot still to do. The aim of the auction is to raise L$1.2 million (approx. US $4800 / £3057 / €4229) to help further the project. The auction will actually be preceded over Friday 25th and Saturday 26th September 2015 with a live music and entertainment event being scheduled to run through to the start of the auction on Sunday, September 27th, and which will take place at a specially built area at !Exodus! Rock Club. I’ll have more news on the actual event schedule and venue nearer the dates. In the meantime, if you would like to help with this auction by donating your time and abilities so people can bid for them, head on over to the LLK website and read more about the project, and then complete MadPea’s auction joining form over on Google Docs. We’ve seen recently with The Lexi Project just how phenomenal the generosity of SL’rs can be and how we can make RL changes to people’s lives when we work together. Please nudge your favourite SL Residents to join us by asking them to complete the joining form! If you are a musician / DJ and are interested in helping support the live entertainments associated with the event, please Kess directly at kess-at-madpeagames.com to register your interest. You may notice that my coverage of the arts in Second Life often circles back to the work of Cica Ghost. The reason for this is simple: there is always something beautifully attractive about her work that draws me to it like a magnet. Open now at Luna Isle, Strings is perhaps the most marvellous installation she has yet produced in a very long line of outstanding works created within Second Life; it’s a magnificent example of why I am so attracted to her art. And believe me when I say, this is not one you’re going to want to simply read about; – it is an absolute must see. The initial tableau appears simple enough. On what might be the edge of a town, overlooking open country, or perhaps in the courtyard of an old villa now converted into little houses and apartments, a string quartet with piano accompaniment plays as others look on and listen with what seems to be varying degrees of interest – or even attempt to ignore. Or is it really that simple? Look closer; this isn’t a single tableau; this is a collage of stories brought together in a single quilt of moments caught in time, framed by the music from the little quintet. As you look at the people gathered in the courtyard, on the balconies or sitting in their rooms, you can gain glimpses into their lives. I use the plural there not just because there are multiple watchers / listeners. but because the glimpses you catch of any individual or group of lives will change depending on where and how you observe them. Thus, each scene within the overall story is itself made up of multiple threads – strings, if you will – which combine in different ways to tell more than one story. Take, for example, the woman on the middle balcony; is she actually listening to the musicians, or is she a harried mother seeking a moment’s respite and relative calm from the constant demands of a young daughter as the latter guzzles a glass of milk. Or is the little girl taking advantage of her mother’s distraction to help herself, and if so, what is it that is so occupying he mum’s mind? The music or something else? The answer may lie on the balcony to the woman’s left, part of the same apartment and occupied by a lone man. Watch him closely; he also is not really listening to those below. Together his actions and the apparent air of pensiveness around her tell a story of their own. Meanwhile, in the neighbouring apartment, a man sits over a chess board, the game frozen, his companion absent. Is she perhaps the motherly figure looking out of the window of the next room, or the daughter-like figure standing out on the stairway, both now looking out over the musicians. But if the music was the cause for either of them to leave the game, why did they not simply go out onto the balcony of the room itself? why go elsewhere just to watch and listen? Could the young woman who has placed a distance between herself and the houses, standing alone, a forlorn expression on her face be the cause of their vigil? Or again, has she a story of her own to tell, and there’s yet another story to be found within the chess-playing family? And thus it is with almost everyone we encounter here; what may at first seem a simple act – a glance, a hand upon another or a face at a window or even a book open on a person’s lap may seem to suggest one thing – but is that really the entire story? There are many threads – or perhaps I might say strings – here, which can be woven into many patterns by the eye and mind; thus we become more than visitors: we become passive participants in all we see; and quite wonderfully so. Which shouldn’t be taken to mean the scene isn’t remarkable in and of itself without seeking deeper meanings. Strings is a wonderful piece of art whether taken as a whole, or studied at length. The characters inhabiting this little corner of the world all have their own personalities, whatever story you chose to tell, and they are beautifully designed – as is the region as a whole, filled as it is with Cica’s familiar touches and motifs. And if you fancy a dance, do be sure to touch one of the many stone cellos scattered around. Finally, there is the audio stream, beautifully crafted by Cica to perfectly compliment and complete the central scene with the musicians, showing them to be a really talented group! I mean where else will you get to hear a string quartet offer a repertoire with everything from Queen’s Another One Bites The Dust and Bohemian Rhapsody through the likes of the Rolling Stones, Ziggy Stardust / David Bowie, Level 42, film soundtracks and The Phantom of the Opera, plus more, to arrive at O Come, Emmanuel? These guys are wonderfully creative in their music – and Strings is a wonderfully created and creative playground for the eye and the imagination. Don’t miss it.